Venture down Sani street on a weekday afternoon and you may hear the sounds of Ma Brrr, Yvonne Chaka Chaka, Purcell, Michael Jackson, fanfares, umxhentso, dubstep, Bob Marley, Jonas Gwangwa… or something else you’ve never heard before. Trombones, marimbas, bass guitar… piano, voices, cellos, drums… shouts, whispers, booms, clicks, screams… it’s the sound of young people working, playing; the singing of beating hearts and the creaking of expanding minds. 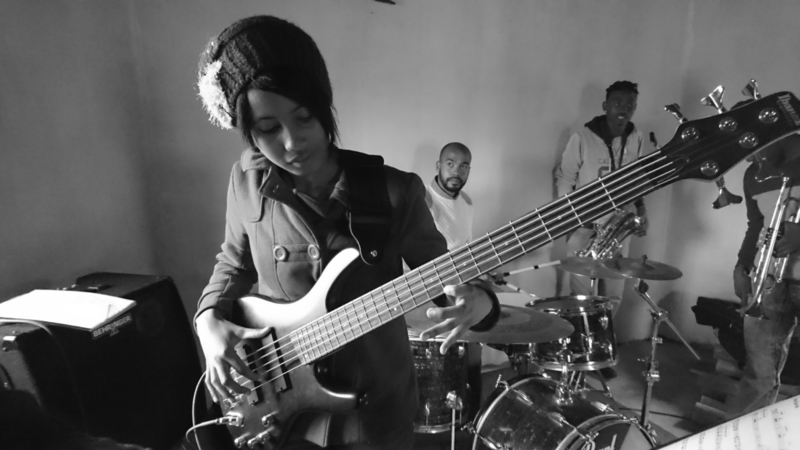 Access Music Project (AMP) is an Eastern Cape music education centre connecting young people with their creative identities and opportunities in the creative economy, in partnership with local schools. AMP was established in response to the problem of young potential musicians not having access to music studies. In many schools music is not an option for study, and arts in general have little priority. 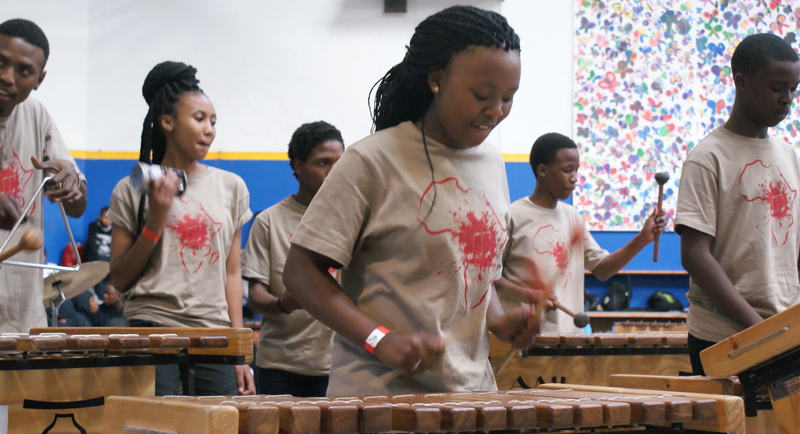 AMP’s model is that of a centre where human and physical resources are pooled to serve learners from various under-resourced schools, enabling the creation of a well-equipped, diverse and high quality music programme. Engagement with arts provides a space in which children can explore those parts of their selves that cannot be understood through words, and develop critical and alternative ways of thinking and expression. The opportunity to study music formally can open up another world of pathways for children who are talented and aspiring musicians. AMP Camp 2019. It was not all work and no play, though! Sectional leaders and sectional rehearsals during the AMP Camp. What would the camp have been without you lot? Yolanda Bonani, Emily Fryer, Gabriella Govender, Matthew Holman, Anelisa Kuhle Kelemi, Maka Makoni, Bayanda Mthetho, Tiaan Uys, Andre Visser, Kepadisa Khutlwano, Tiago Vital and Asonwabile Nompunga. The tinkling of the ivory will carry on at Access Music Project with this donation from Ms Sally Guye. Much appreciated Ma'am!